So wonderful and lovely work. Gorgeous color. I love the colours and the tree in the last one so wirly and lovely . Tim is a talent! I took a class from him and he is so well organized. He is a very good teacher. Very nice, Linda. I also love your latest gothic arch! Yes the first ATC is up for trade - I will pop it in the post to you today. I'll have to do this next year! You do seem to be having fun, and I think this is your best yet!! 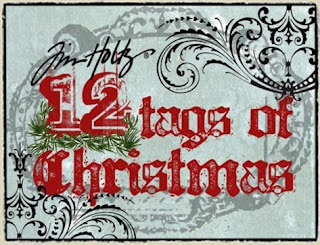 Love these Christmas tags Linda...popped over for a quick visit to Tim Holtz's blog. Great techniques! Looks like you're having lots of fun and getting into the Christmas spirit. Hope you and yours have a fabulous holiday season!